Check out our latest young writers entry! 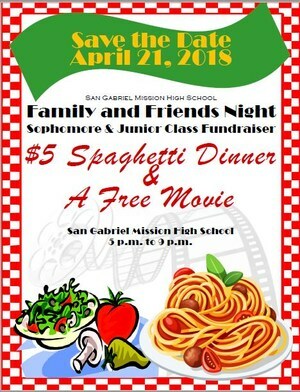 Spaghetti Dinner and Movie Fundraiser, Saturday, April 21st! Did you know that Saturday, April 21st is National Eating Out Day so come join us for dinner and the opportunity to watch CoCo with all of your Mission Sisters, family, and friends. Everyone is welcome and please invite your family and friends for a wonderful evening! Please also remember that although chairs will be proceeded to bring your blankets, pillows and sleeping bags for your own personal comfort. 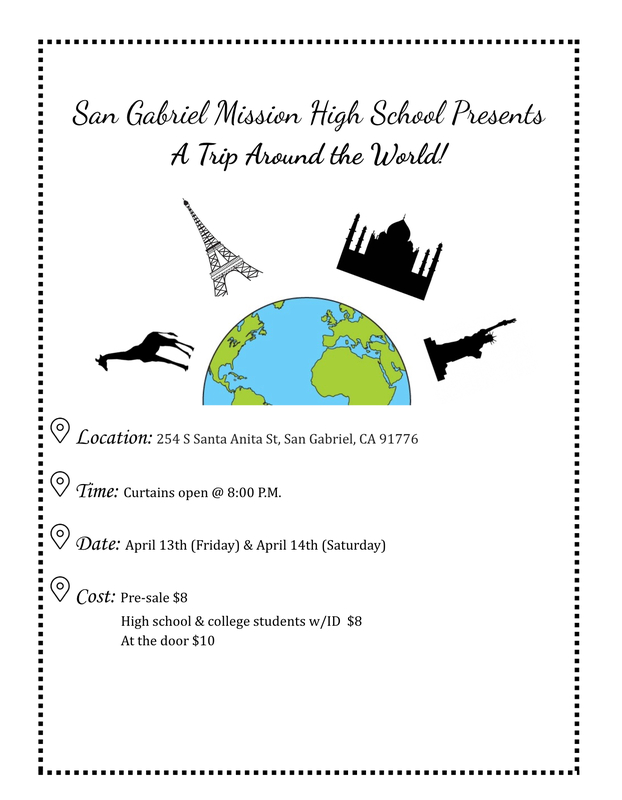 Join us this Friday and Saturday for our Annual Spring Sing performance. Click here for details! Check out our newest student piece in the San Gabriel Valley NOW on Page 3! SGMHS is looking for enthusiastic and responsible camp counselors, activity directors, and directors to run their GABE's Place Summer Program! Click here for more details. Parents please complete this 3 question survey! Want to support your Lady Pioneers while you eat Chipotle? Click here to find out how! SGMHS Soccer is going to CIF State Championships! Join us on Saturday, March 10th, 4 pm at Cathedral High School as we cheer on our Lady Pioneers in the State Championships vs. Fillmore High School!